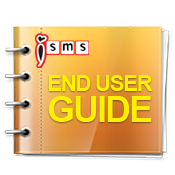 iSMS Malaysia - Online SMS Marketing End User Guide iSMS Member Page. Lowest price & most reliable Bulk SMS marketing tool. 2 way sms Malaysia, Bulk SMS, bulk sms Malaysia, bulk sms Singapore, online sms solution, web sms marketing. To top up your SMS credits, you can click on the "Top Up" button at the right side of your Account Info panel. If you would like to extend your SMS Credits validity, you can click on the "Extend" button. You will be lead to iSMS contact page and submit a request to extend your credits.